Currently we are on the Who Am I, Where do I Go From Here in the Dr. Seuss school year plan. This unit is about self discovery and celebration about individuality. 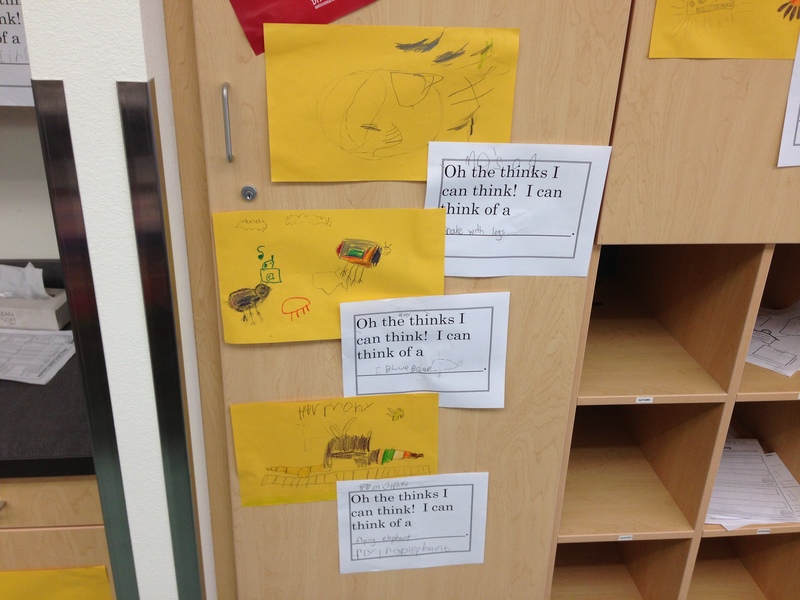 One of the books we read in our book list is “Oh the Thinks You Can Think”. This book helps children feel confident to use their imagination and celebrate their ideas. After we read the story we discuss some of the silly things we saw in the story. 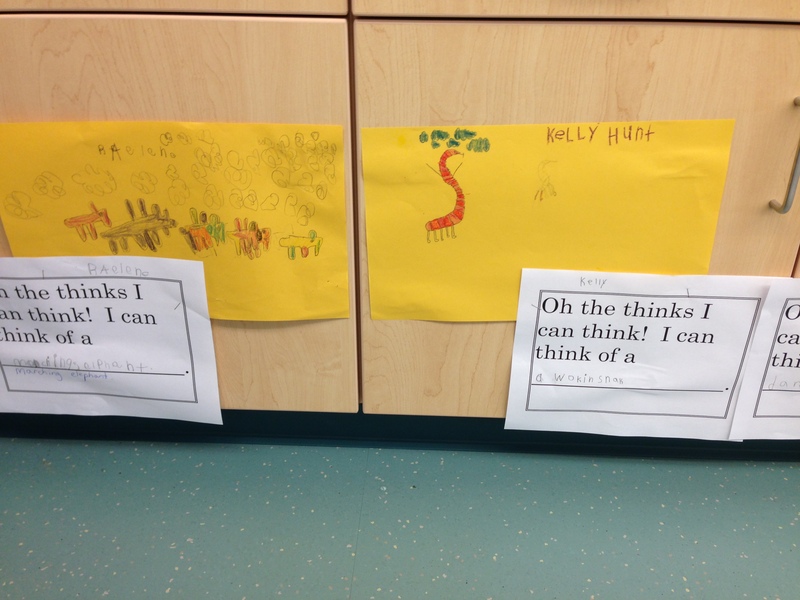 Then students came up with their own silly animals that they could think of.